Scientists have always been very good at jargon-filled articles, to the point that the academic literature itself can be almost completely inaccessible to non-specialists. In more recent times, there has been a big push for scientists to complement those articles with simpler pieces that communicate that research to the general public. In a similar way, we make a point of encouraging science students to adopt the more formal, technical aspect of science writing, but we tend not to focus on providing the skills that the students need to communicate science outside of academia. Web logs (better known as “blogs”) can be a useful medium through which to develop these skills. There are a range of blogging platforms that can be used. There are usually examples within the learning management systems (LMSs) used by educational institutions, but these often have poor interfaces and cannot be viewed by anyone outside of the module for which the blog is written. 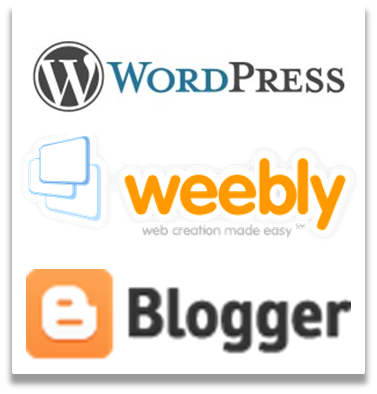 I would recommend using a public, free blogging platform such as Weebly, Blogger, or WordPress. All of these allow customisation of appearance, as well as the addition of static web pages to provide biographical details or information about the blog. All three platforms are also very easy to set up, simply requiring a username and password and then a short period of familiarisation with the “back-end” (the interface that manages the blog). Students on a conservation biology course might be set the goal of outlining for the general public the plight of a range of endangered species. Different groups of students could be given different groups of species (fish, insects, plants, etc) and asked to write short posts (<1000 words) describing (i) the species, (ii) the threats it faces, (iii) the current status of the species (stable, declining, recovering, etc), and (iv) the outlook going forward (will it recover under current measures?). An optional extra section could cover whether the student feels that the species should be conserved (with a well-argued supporting statement). The resulting posts should demonstrate that the students (i) understand the biology of particular taxa, (ii) understand the links between threats to biodiversity, (iii) can communicate those concepts to a lay audience, and (iv) can argue persuasively for a given course of action. The blog would also provide a useful resource for the general public, and showcase learning at the institution. Furthermore, the commenting capabilities of blogs lend themselves to public discussion (and constructive disagreement) among students, and a discussion of how to conduct oneself in a public, online environment.